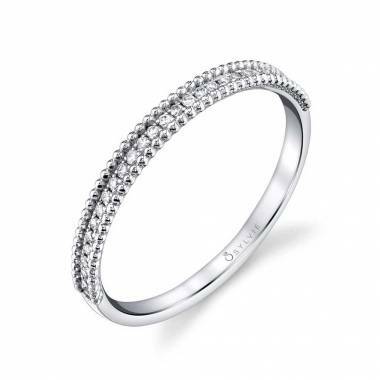 Express your own personal style with this modern wedding band. 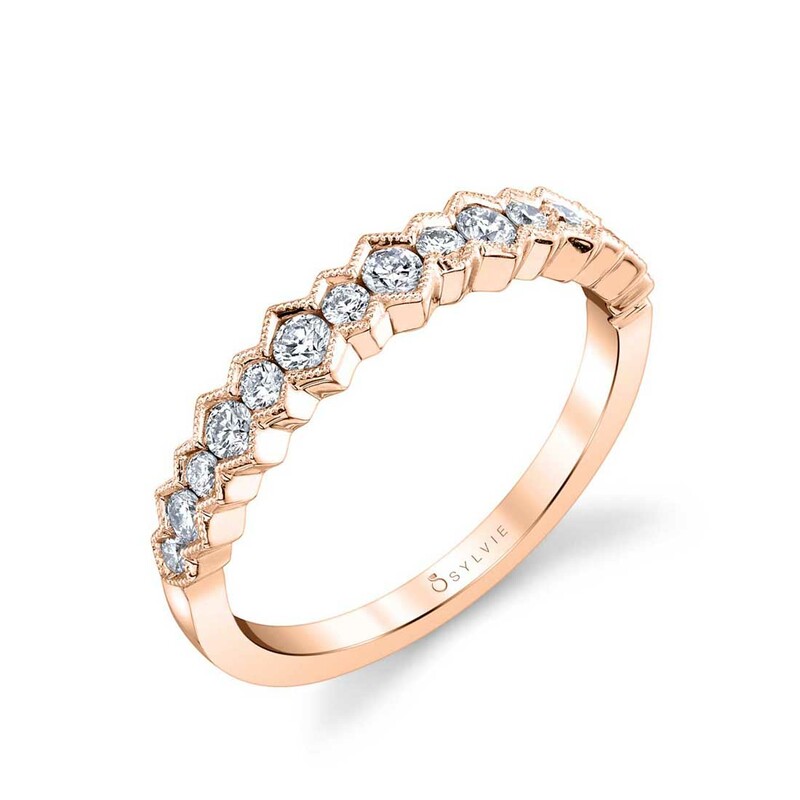 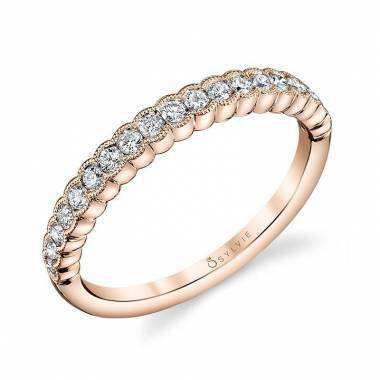 With round brilliant diamonds nestled in a shared diamond shaped frame and accented with delicate milgrain details, this enchanting modern wedding band is one of a kind. 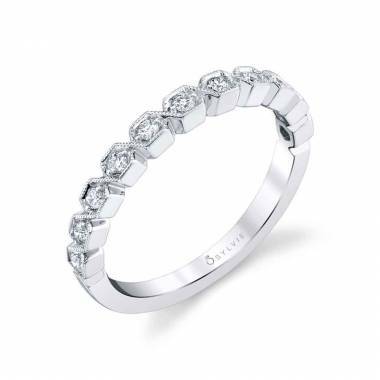 When paired with your sparkling engagement ring, it will add a creative and artistic look. Mix and match this modern band with other metal colors of bands to create trendy, stylish look. The total weight of this stunning modern stackable wedding band is 0.38 carats.